In 2005, Hamdi Ulukaya spent less than $1 million buying an old Kraft yogurt processing plant in New Berlin, 150 miles northwest of New York City. Within two years, the native of Turkey was already a success. His yogurt brand, Chobani, was in supermarket refrigerators everywhere, pushing aside older, big-name brands while making Greek yogurt a staple of the American diet. Rich but also healthy, it made its way into recipes for everything from smoothies to muffins and even popsicles. “Greek yogurt was a very big innovation in the yogurt market,” said Caleb Bryant, senior drink analyst at Mintel. For decades, yogurt was runny and high in sugar. “Then Chobani comes onto the scene and changes the idea of what yogurt can be.” With sales on the rise, New York Governor Andrew Cuomo convened the state’s first Yogurt Summit in 2012. In 2013, after the state became the top U.S. yogurt producer, he changed state law to allow farmers to have up to 299 cows instead of just 199 before they had to comply with certain environmental regulations. The dairy industry in New York expanded rapidly. Yogurt production in the state peaked that year, tripling what it was in 2007. But in the years that followed, Greek yogurt began to suffer the same fate that’s bedeviled the broader dairy industry—changing tastes. From April 2017 to April 2018, sales of Chobani products grew only 1 percent while sales by all companies in the segment slipped 2.2 percent. Chobani’s growth is largely coming from Chobani Flip—a mixable yogurt product—and yogurt drinks, according to Bryant. (While the company’s New York facility still produces significantly more total yogurt, those products are both made in its Idaho plant.) Meanwhile, Chobani’s bonds are among the worst performers in the global food and beverage sector. America’s dairy farmers face a growing list of challenges: The Trump administration’s trade wars have coincided with an extended period of already low milk prices. 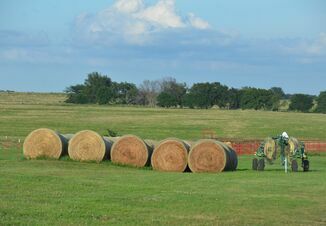 The strong dollar is driving down exports, and consolidation has led to farm closures all across the country. Most darkly, the long decline in American consumption of fluid milk, the dairy product that brings farmers the highest earnings, shows no sign of slowing. With so little room to maneuver, even the smallest cutbacks can have a big effect. When Chobani closed its New York plant over the week of July 4, around the same time a Kraft plant in nearby Walton, New York, did the same thing, it made the financial pain of its suppliers that much more acute. “It was a tough deal for a lot of farmers,” said Richard A. Ball, commissioner of New York’s Department of Agriculture and Markets, emphasizing, however, that the global market forces share more of the blame for their plight. For its part, Chobani (the name is derived from the Turkish word for “shepherd”) said it has gone “above and beyond” to mitigate the effects of the closing. It modified its plant so it could keep milk separators running during the closure, and over the course of the year it buys extra volume to make up for down periods. Moreover, the company said in a statement, its foundation has put millions of dollars into programs benefiting dairy communities. 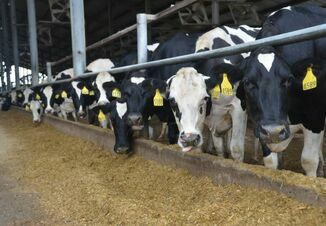 Even so, Dairy Farmers of America, the biggest dairy cooperative, said reductions in operating hours and scheduled plant shutdowns during the July 4 holiday exacerbated the milk glut, and led them to dump some raw product on farms. The amount of milk dumped by farmers in the U.S. Northeast reached almost 145 million pounds through July, including 23.6 million pounds that month alone. 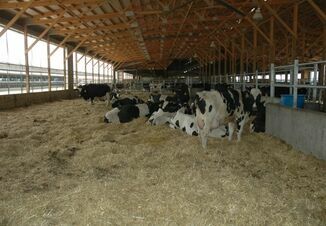 Dairy cooperatives will likely be forced to heavily discount milk prices in the coming months as a result, going below the current futures price for benchmark Class III milk, which goes into making cheese, and is currently under $16 per 100 pounds—a price that has farmers treading water, said Dave Kurzawski, a Chicago-based broker at INTL FCStone. “The farmers, they don’t get a break,” he said. “We probably had a surplus of milk in this country for too long—we’re seeing that unwind itself.” And what can’t be sold—even at a discount—gets dumped. In recent years supplies have grown faster than manufacturing capacity, said Leon Berthiaume, chief executive officer of St. Alban’s Cooperative Creamery Inc. in Vermont. Discounts of $4 per 100 pounds wouldn’t be surprising for distressed milk, he said. “When you have a free-market type of system, it just shows the vulnerability that the farm price has to market conditions,” said Doug DiMento, a spokesman for Agri-Mark. A cooperative that serves around 900 dairy farms in the Northeast, Agri-Mark recently invested $21 million to expand one of its four plants so it can take excess milk off the market. Are You Eligible for Food Stamps? If the milk supply is so great than why don't the powers to be (cooperatives and government) find a way to solve the problem??? They make huge incomes compared to those who work at the basic production of milk - farmers.